Details have been announced for the soundtrack to Netflix’s sleeper hit Stranger Things. Two volumes of the eerie synth score, by S U R V I V E’s Kyle Dixon and Michael Stein, will be released, and the first volume will be out Friday, August 12 with the second volume following on September 23. Stein said in the press release, “We discussed having a classic tone and feel to the music for the show but being reserved enough that it wasn’t ’80s cheese, while offering a refreshing quality so that felt modern. This was one of the qualities that drew them to our music in the first place. Having a familiarity with classic synths worked, but with an overall forward thinking approach.” Check out the tracklist below. 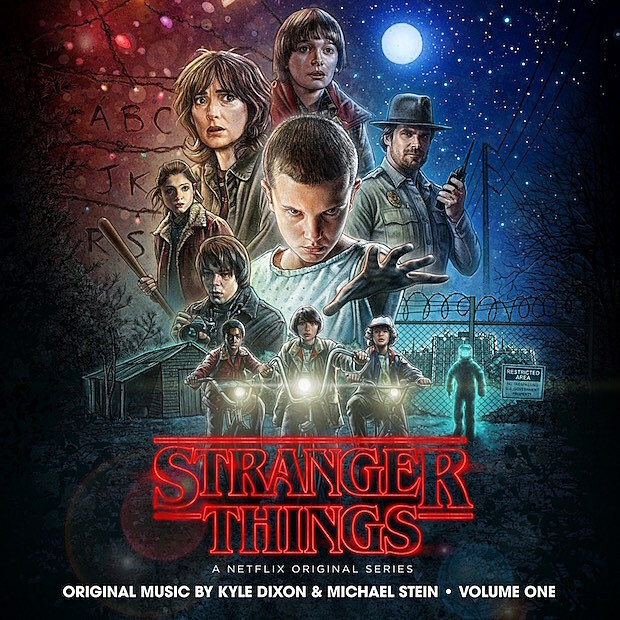 Dixon and Stein reportedly recorded over 13 hours of music for the Stranger Things producers to pick and choose from. You can watch a video of Stranger Things stars Gaten Matarazzo (“Dustin”) and Caleb McLaughlin (“Lucas”) singing along to the show’s main title theme, below. Meanwhile, S U R V I V E’s new album is due out in September, and you may have heard that actor Joe Keery, who plays impressively coiffed Steve Hamilton, is in a psych band worth checking out. 35 What Else Is There to Do?